Cereals are the most important of our breakfast routine. They are equally popular among all ages. They do not make breakfast tempting, but also they have a high amount of carbohydrate and volume. Cereals come in various flavours and types. It gives customers many preferences to choose from. Stores are full of different kind of cereals packed stunningly in the boxes. Each product seems to be more tempting than others. It leaves customers with nothing but confused. 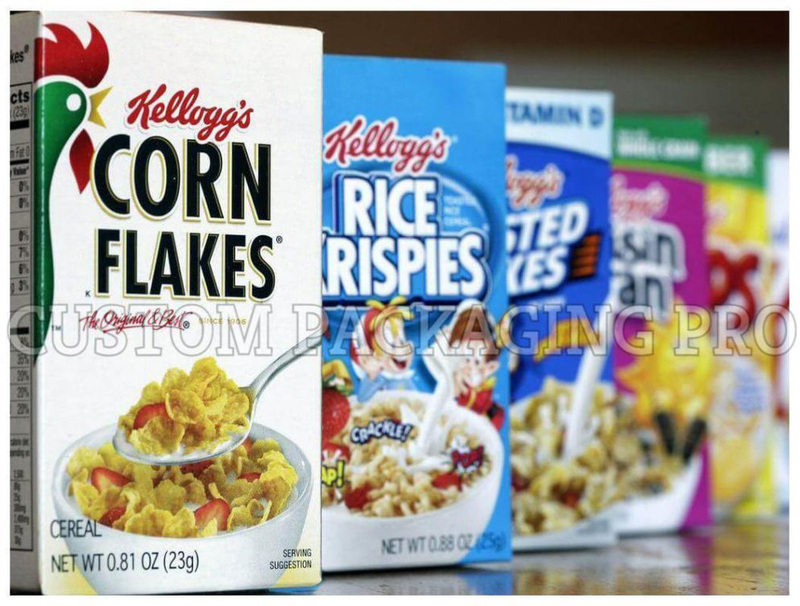 Custom Cereal Boxes packaging can play a significant role in helping out customers to choose the product according to their need. Choice of customers while buying cereals can depend on many factors. It's nutrition value, for whom the product is and most importantly it's packaging. When purchasing a product, the first thing that grabs the attention of customers is the visual appeal. The first impression of the product is the last impression. So, it is essential for companies to design cereal packaging properly. Invest your time and money in the packaging of cereal products to make them stand out. The packaging of the cereals depends on how product tends to cater customers of different ages and needs. It can be the selling point which delivers a sense of quality plus reflect the brand image. 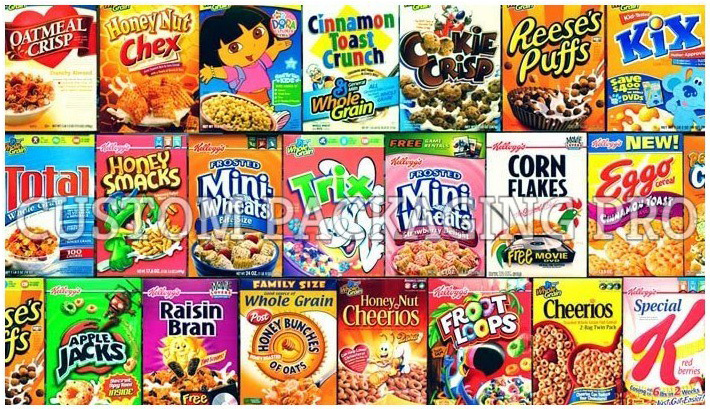 Design your custom cereal boxes according to customers: You can have cereal in the variety of flavors that fulfill the need of different age groups. Some of the cereals are for young people and children. So design such boxes with bright colors, bold fonts, and cationic graphics. For people who prefer to have vitamins and carbohydrate in their diet, nutritious label value of cereals on the box. People are becoming more diet-conscious than ever. They will opt for cereals that assure them weight loss. So have text or image on boxes that convince people that they will have the low-calorie intake. Make your Custom Cereal Boxes a marketing solution: Custom boxes not only provide perfect packaging of cereals but also market your product. As the demand for cereals is increasing, the competition is too getting tough. So it is necessary for brands to market and advertise the product to get noticeable visibility. Add logo or company name so that people can identify you and add unique features and colors to attract new customers. Come up with the unique design that represents your brand. Keep it clear and simple: Customize your cereal boxes simple and clear enough that the customers can easily understand the product. When people pick up the box, they should instantly get the answer to these two questions. What's the product for?? Which brand is the product?? Make your packaging design perform well that it will allow people to identify your brand regarding content and usage. Follow the basic rule of perfect packaging: be clear about the product, be clear about the brand. Work within your budget: While designing the perfect packaging for your cereal products, the main thing to consider is your budget. Determine the design of the Custom Cereal boxes and then choose printing technique which suits your budget and box. After setting the budget, think whether you will buy it in bulk or not. Most importantly cost of packaging should not more than the cost of the product. Over-designing can give the wrong perception of the product. It will also cost you more than necessary. Consider where your product will sell: Another important factor is your product market; where your product will sell. Will it display on retailer shelf or customers will buy it online. If your product has to show in stores, then it is must to design a custom box that will visually appeal the customers. If you are shipping goods directly to customers, then choose sturdy packaging. It will protect the product from any damage and ensures the safe delivery of the product. Think inside the box: If tired of old packaging solutions then this time think not just outside the box. Inside packaging of the box is entirely up to you. There are numbers of options for what you can put inside the box. For young customers, you can add something mysterious for them. You can also insert personal notes or promotional notes or discount coupons to retain your current customers. Usually, people do not read instructions printed on boxes. So, it is better to put additional information and instructions inside the box. 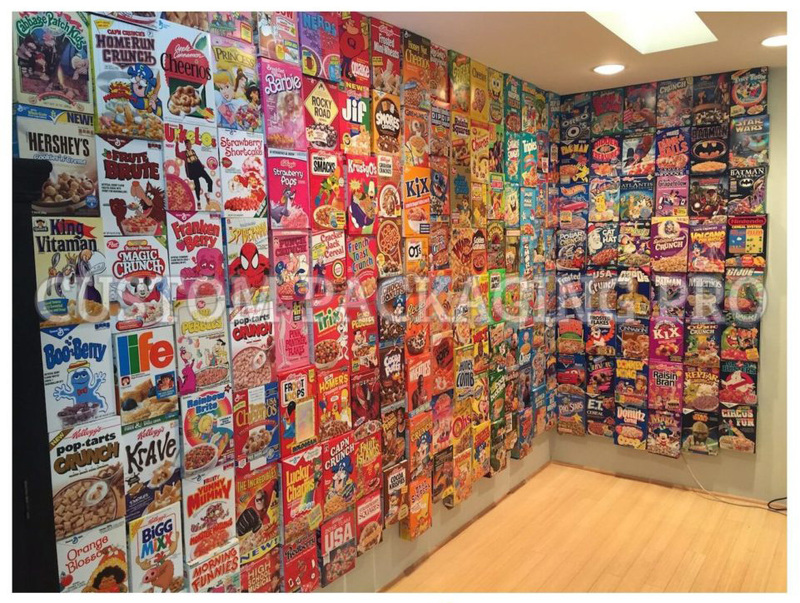 Choosing a unique design Custom Cereal Boxes is not an easy task. So, it is wise to collaborate with a professional Custom Packaging pro to have clean and striking design for cereal boxes.